Union Minister for Social Justice & Empowerment and Chairman, Dr. Ambedkar Foundation Shri. 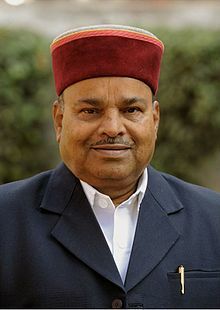 Thaawarchand Gehlot today here said that the students have stated that in this era of Information Technology, we have to be very alert and aware. Information is a power to which every student needs to have access but at the same time we have to be alert so that entrapped with unwanted or false information we don’t get deprived of the useful information. Shri Gehlot has suggested the students to dedicate themselves purely in study so that the society and the nation at large gets benefitted by it. Union Minister for Social Justice & Empowerment and Chairman, Dr. Ambedkar Foundation Shri Thaawarchand Gehlot was presented the Dr. Ambedkar National Merit Awards to the meritorious students of Schedule Caste and Schedule Tribe students of Secondary and Senior Secondary School Examinations of year 2015. The SC & ST students who have topped the 10th and 12th standard Examinations of year 2015 will be awarded with the Dr. Ambedkar National Merit Awards from Dr. Ambedkar Foundation, an autonomous body under the Ministry of Social Justice & Empowerment. The awards have been distributed in two categories. Those SC & ST students who have excelled in the Secondary School Examination in the year 2015 come in the first category. As there is no female student in First, Second and Third rank, hence special awards have been announced to the highest scoring girl students to encourage the girl child education. In the second category of awards the top graded SC & ST students of Senior Secondary School Examination, 2015 have been awarded. The prize money of First Prize is Rs. 60,000/-, Second Prize is Rs. 50,000/- and Third Prize is Rs. 40,000/-. Shri, Krishan Pal Gurjar, Minister of State for Social Justice & Empowerment and the Secretary of the Department Ms. Anita Agnihotri were also present in the award ceremony.